It might not be the most pressing issue in the world, but sometimes it’s the small victories that are the sweetest. Google is rolling out an update to its emoji package that “fixes” its cheeseburger emoji, after an internet backlash against the virtual image. What was wrong with it? It’s such a small detail that you might have never noticed, but taking moment to really look should make it obvious that the emoji is utterly and desperately wrong. Placing the cheese below the patty makes no sense in burger-building etiquette — you use the heat rising from the burger to melt the cheese, and since melted cheese is objectively better than normal cheese, it enhances the overall deliciousness of the burger. We’re not sure what alternate universe Google’s cheeseburger emoji dropped in from, but it’s clearly a sick and twisted place where cheese is placed underneath the hot patty, and somehow melts into the bread. Thankfully, Google CEO Sundar Pichai noted the enormity of the situation, and promised that fixing the disgracefully built burger would be on top of his priority list after the weekend. 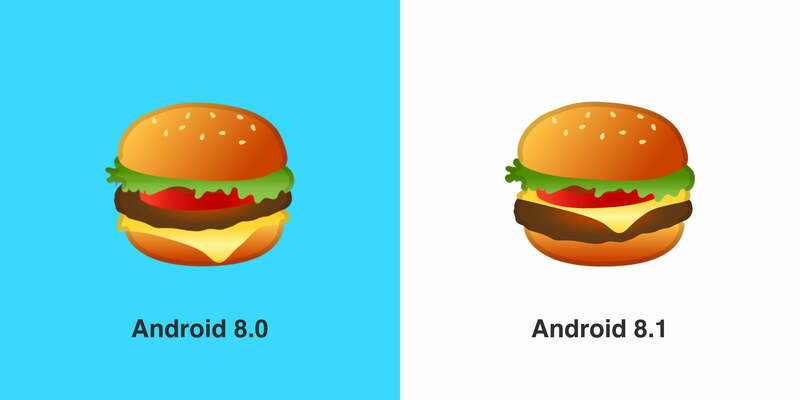 And he was as good as his word — Emojipedia reports the upcoming Android Oreo 8.1 patch changes the cheeseburger emoji, placing the cheese into a much less contentious slot above the burger patty, but beneath the salad options. While there are those who still say this isn’t the optimal position (Apple places the lettuce beneath the patty on their emoji, and this placement stops the bun from getting soggy), most appear to have been placated by Google’s revision. While Google seem to has learned its lesson, it didn’t stop it from torturing employees with the “Android burger” at lunchtime. The patch also changes a handful of other emoji, including the half-full beer steins that somehow had froth over empty spaces, and Swiss cheese that had lines running across holes. Never let it be said that Google didn’t always tackle the biggest and most pressing of concerns as soon as possible. Now, if it could tackle some of the other issues we’ve found in our list of Pixel issues, and Pixel 2 issues, that would be great.